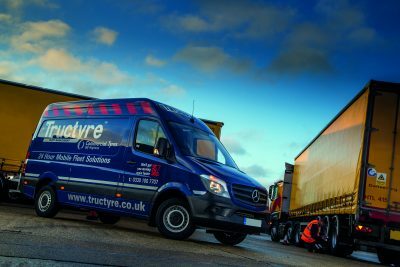 ATS Euromaster is to merge its heavy tyre operations with Eastleigh-based Tructyre, creating the largest national heavy tyre business in Britain. Tructyre, one of the most successful independent commercial vehicle tyre management groups, was purchased by the Group in October 2017. 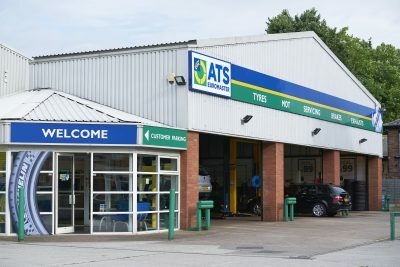 The move will see ATS Euromaster focus its tyre and vehicle maintenance business on light vehicles up to and including a gross vehicle weight (GVW) of 3.5 tonnes – a sector which is seeing interest rise in electric cars and has experienced huge growth in light vans fuelled by the demand for internet-driven home deliveries. The new national business, Tructyre ATS, will provide the highest standards of service for vehicles from 3.51+ tonnes GVW – including trucks, trailers, buses and coaches. It will replicate Tructyre’s proven business model in the South of England on a national scale, creating four additional regional divisions spanning the South West, Midlands, North and Scotland. The selected staff transferring from ATS Euromaster to Tructyre ATS will bring a wealth of additional heavy tyre experience to the five regions, which will each benefit from its own Regional Managing Director, administrative function, local stocking points, call centre and Tructyre ATS-branded mobile service fleet. The transfer of heavy vehicle operations to Tructyre ATS will enable ATS Euromaster to focus on delivering exceptional customer care to light vehicle customers through a joint centre-based and mobile service approach. Until now light vehicles have represented a little more than half of ATS Euromaster’s commercial business, and the new dedicated company will provide the strongest platform for growth opportunities. Martin Kellett, Group Managing Director of ATS Euromaster, says: “Our goal is to achieve long-term sustainability and to that end it makes sense for us to separate the two very different sides of our business. “By setting ourselves up in this way, our teams will be able to deliver tailored support and the highest standards of dedicated customer service. Glenn Sherwood, Tructyre’s founder and CEO, explains: “Tructyre ATS is set to become the largest service provider in the UK specialising in the management of tyres for heavy vehicle operators. We will also be in the unique position of having the only truly consistent national offering for local, regional and national heavy fleet customers. ATS Euromaster and Tructyre ATS are committed to ensuring a seamless transfer of operations for fleets operating vehicles with a GVW of 3.51+ tonnes. The first region to move to the new structure will be the South East, followed by the South West – both are expected to complete by early 2019. Mixed vehicle fleets will be reviewed on an individual basis, and it is likely those operating predominantly light vehicles will remain an ATS Euromaster customer, with heavy vehicle work contracted to Tructyre ATS. Predominantly heavy fleets are likely to transfer to Tructyre ATS, with car and van work contracted to ATS Euromaster. National fleet customers will continue to be managed by ATS Euromaster until all Tructyre ATS regions are fully operational. In September 2018, Tructyre became the third-party provider for truck work previously carried out by ATS Euromaster’s hub in Southampton, with locally based mobile service technicians from ATS Euromaster transferring to Tructyre. Note to editor: For press information visit ATS Euromaster’s online newsroom or contact James Keeler on 020 8647 4467, or by email to james.keeler@garnettkeeler.com.